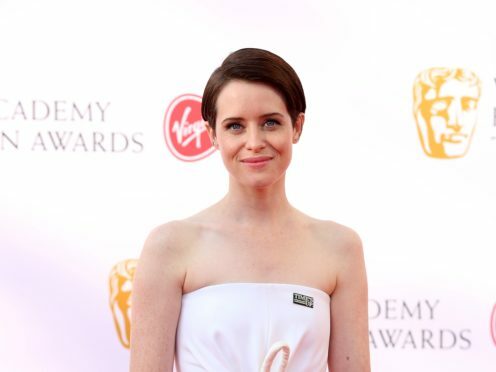 Claire Foy has said she feared that taking on the role of Lisbeth Salander would be seen as an “obvious” attempt to shake off her role in The Crown. The actress, who is best known for playing a young Queen Elizabeth II in the big-budget Netflix series, takes over the role of the vigilante hacker from Rooney Mara in The Girl In The Spider’s Web, a sequel to The Girl With The Dragon Tattoo. Foy has previously said she felt trepidation about taking on a role in the film Breathe, because it was too similar to that of the monarch. She told the Press Association: “When I did Breathe that was in my head, but I did it anyway because I loved it and that is the same sort of thing. “If something else like that had come along I wouldn’t have turned it down purely because I didn’t want to repeat the same thing. “If I love something I’m doomed, I’m like ‘Oh God, I’ve got to do it’ and it was sort of the same with this. “That wasn’t it at all, if anything, I thought this could be a bit extreme, but I loved it so couldn’t not do it. Discussing how she feels about other actresses having played the role (Noomi Rapace also played Salander in the Swedish language version), she said: “It’s not ideal is it? “Hopefully at some point I will be able to meet both of them and say ‘I think you’re amazing and great’ but it’s a weird thing, isn’t it? “I feel very, very honoured to share this part with them but at the same time we are all playing a different woman, because we are all different women, but of what I know about them and have heard about them, I think everybody has an amount of respect for what we all do. The Girl In The Spider’s Web is released in UK cinemas on November 21.